Size: approx. 30 mm. Photo: 06/09/16, 11 pm. 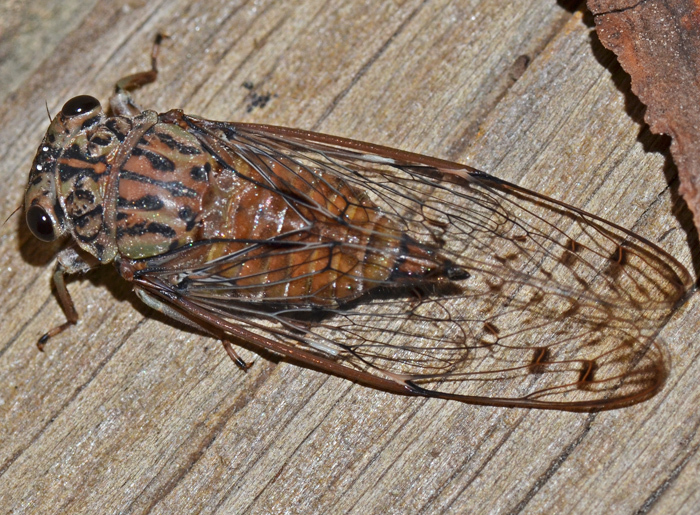 This delicate cicada is called Hieroglyphic Cicada. It is partial to oaks and also the first species to be heard in spring. Its song starts with a sequence of progressively softer, whiney bursts and ends with an even whine. An audio file is available in the third link.